JASH Inspection Bench Centres are ideal for precision inspections and checking various parameters like concentricity, facial and radial run out etc. in tool room and machine shop. Get high quality precision bench centres from the leading manufacturer and supplier of precision tools. Made generally as per IS: 5980 - 1978. Cast Iron Base made from plain cast iron conforming to grade FG:220 of IS 210. 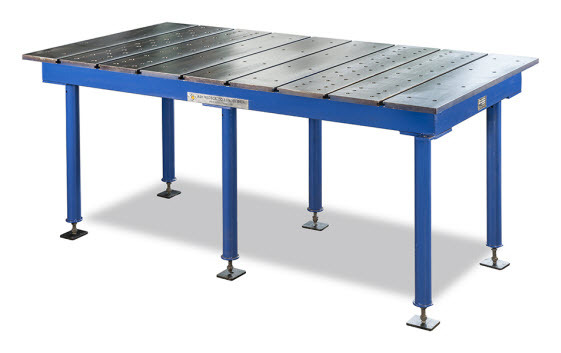 Precision Bench Centres with Granite Base are also offered, with metallic (Cast Iron) T-slots. One Centre is spring loaded for easy loading and unloading and also ensure uniform pressure on work piece. Roller guide attachment for heavy jobs. Stub Centres for inspection bench. Taper and parallel test mandrels. Concentricity Checking Attachments for inspection bench centre. Admit between Centre (ABC): 300 mm, 500 mm, 750, 1000 mm, 1250 mm, 1500 mm, 1750 mm, 2000 mm, 2500 mm and 3000 mm. Height of Centre (HC): 125 mm, 160 mm, 200 mm, 250 mm and 300 mm.